Last week we took ALL OF THE POINTS and rode it to our third straight week of 3-2. Winning is good! Let’s keep doing that. Way better than losing. The Los Angeles Lakers were in trouble. Through the first ten games of this season, one of the league’s two most decorated teams in history was 1-10 and had become a punchline via the play of its fearless, sociopathic leader, Kobe Bryant. People were pointing fingers. Coach Byron Scott refused to acknowledge the league’s most efficient shot, the corner three, in any capacity, allowing Kobe and others to settle for long twos late in the shot clock. Kobe became festively jovial about his team’s historic incompetence. The Clippers officially became the team of Los Angeles. Carlos Boozer became an important cog in a professional basketball team, and it wasn’t the Philadelphia 76ers. The skies over Manhattan Beach, once a clear purple and gold, filled with dark clouds. But then, a hero emerged. The perfect antidote to the Lakers’ struggles, it turns out, was swag, and only one man had the power to rescue Kobe Bryant from himself. That man is Nick Young, and this week’s 3-Pointer is dedicated (almost) entirely to him. This week: After two weeks of not letting anyone in the house, locking all the doors and being absolutely consumed by a full two weeks of unrelenting chaos, Florida employment changes as well as a jaw dropping feat of record breaking party time has resumed. Hello friends, come in from out of the cold. We’ve got Florida State – Boston College on the television and a Dilly bar to chill the expectations of a warm meal consisting of substantial games. 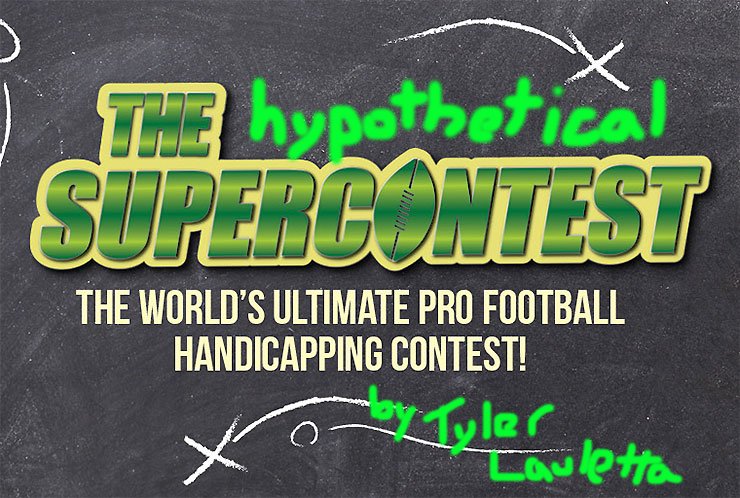 Things got weird this week at the Hypothetical SuperContest. If you’re just here for the picks, you can find them below, but then you’ll miss the joy that is Kendrick Lamar serenading my process. I hope you enjoy our experiment. Courtesy of sportsmockery.com, because of course it is. 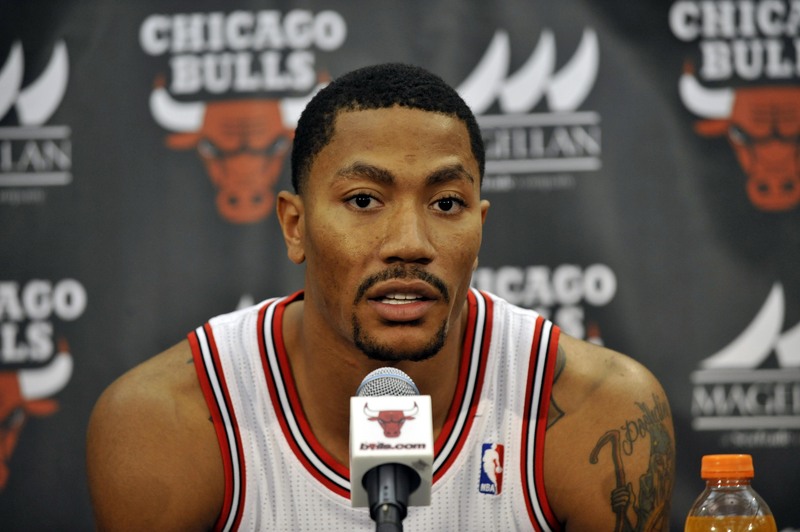 Derrick Rose found himself in a boiling pot of chicken broth earlier this week when he said that he does not want to sit in “meetings all sore or be at my son’s graduation all sore just because of something I did in the past,” and then promptly went out and re-injured a different part of his sore-all-around body. The 2011 NBA MVP continues to seem light years removed from relevance, but he has now stepped a few bounds outside of reality, at least in the eyes of some angry fans. Elsewhere, the Grizzlies are starting to Grizz in a monumental, significant way, and NBA Commissioner Adam Silver has called for legalized and regulated gambling, surely to the delight of at least one TwH contributor. On November 7th, at the behest of Blog Serf James Vasiliou, I attended my first game in the Time Warner Cable Arena of this NBA season. Much has changed since last year, of course; the historically dismal Charlotte Bobcats had re-branded themselves as the Charlotte Hornets, returning to this city one of the most recognizable symbols of its growth during the 1990s and revitalizing a brand which had never really been the same since George Shinn moved the team to New Orleans in 2002. I fully intended to write about how the Charlotte Hornets, rather than the Bobcats, had returned to their place as a rallying point for a city, a way of telling the rest of America that Charlotte hosts more than simply heartless financial institutions and an airport you hate to stop through on your way to Boston, or Philadelphia, or Dublin. I intended to write about how the Bobcats’ postseason appearance last year, only its second in franchise history, became the perfect setup for this season and the re-emergence of the Hornets at just the right time. I wanted to write about how much better purple and teal look than grey, orange, navy and whatever other random colors the Bobcats haphazardly slapped on their uniforms each season to sell more gear to their beleaguered fanbase. I wanted to write about Al Jefferson’s jump hook (I’ll do that anyway, don’t worry). 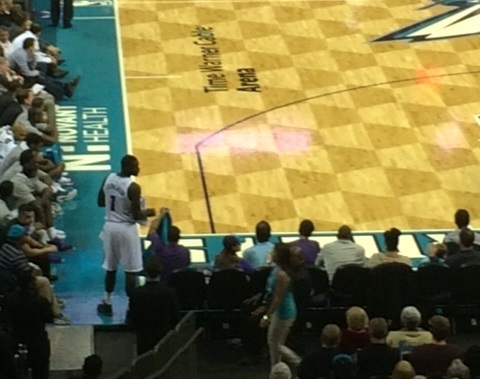 Instead, I became positively enchanted with the Hornets’ shiniest new toy. No matter what happened on the court, I could not steal a glance away from him. This is how I learned to stop worrying and love Lance Stephenson.